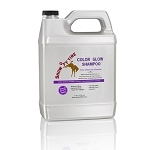 Home > Equine Care > Shampoo > Color Glow™ Concentrated Shampoo > Color Glow Concentrated Shampoo 16 oz. Color Glow Shampoo makes whites bright! Reveals lost colors in the mane and tail. Cleans, conditions, and brightens leaving your horse soft, smooth, and shiny bright! Brightening increases with the repeated use. 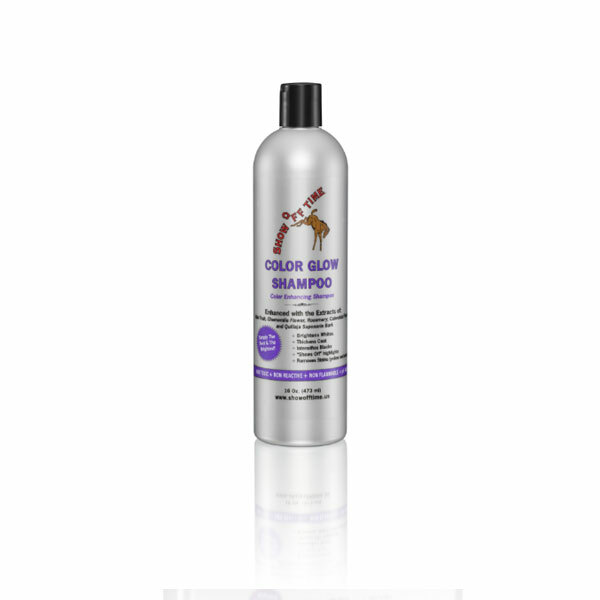 Color Glow Shampoo is safe, made with all the natural biodegradable ingredients. Bought this to use on my friends paint. She thought I was crazy and said nothing works on her. We start d scrubbing then let it sit and rinsed her off. I've never seen that horse so clean! Show off time is the only thing I use on my horses! !